iNautia.com offers you the widest range of boat rentals in the market with a variety of destinations so you can enjoy a different type of holiday. 37 cabin cruisers to rent, with or without a skipper. Select the start date and the duration of the rental in the search box, and choose the boat that best suits your needs. Menorquin MY 100 MGE 10.55 m from Length 4 m from Places. Bavaria 38 Sport 11.8 m from Length 12 m from Places. 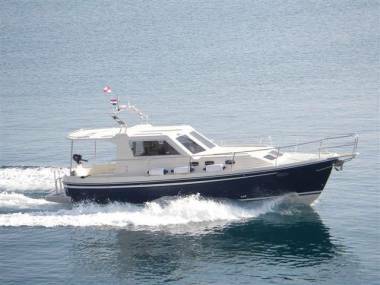 Bavaria Motor Boats 29 Sport 9.35 m from Length 8 m from Places. Van Dutch 40 12.08 m from Length 10 m from Places. Bayliner 285 9 m from Length 10 m from Places. Cranchi 41 11.93 m from Length 10 m from Places. Jeanneau Prestige 32 MGE 10.4 m from Length 4 m from Places. Castagnola 30 mt 30 m from Length 8 m from Places. Beneteau-Antares 7 7.48 m from Length 8 m from Places. JEANNEAU Cap Camarat 9.0WA 9 m from Length 10 m from Places. 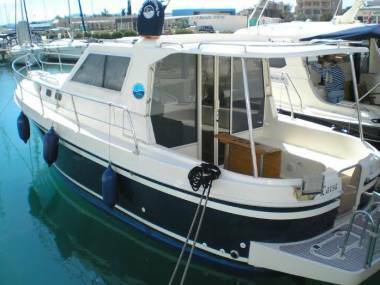 Beneteau Flyer 7.7 7.65 m from Length 10 m from Places. Sea Ray 355 Sundancer 11 m from Length 11 m from Places.